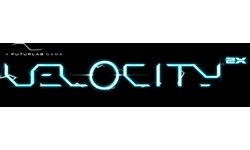 I played Velocity Ultra on PlayStation Vita and found it to be a fantastic experience. It was fast, challenging, and the gameplay was tight and responsive. Now the awesome team at FuturLab have released alpha gameplay footage of 2014's sequel, Velocity 2X, also on Vita (and PS3). This game blends the intense shoot em up action from the original with Metroid-style gameplay segments, and the results looks fantastic. I cannot wait for this one. Check out the video below.